Nikki started her running journey in 2006 as a measure to shed some weight. During the process, she discovered her love for running so just kept pounding the pavement. She remembered a promise made to her father that she would one day run a marathon. With that promise, she registered for and ran her first half marathon in September 2006 and hasn't looked back. In 2013, Nikki challenged herself to run 20 half marathons and was thrilled to achieve her mark. After fulfilling that goal, she knew that she could do anything she set her mind to do. One of Nikki's favorite things about running is inspiring and encouraging other runners around her to achieve their goals. 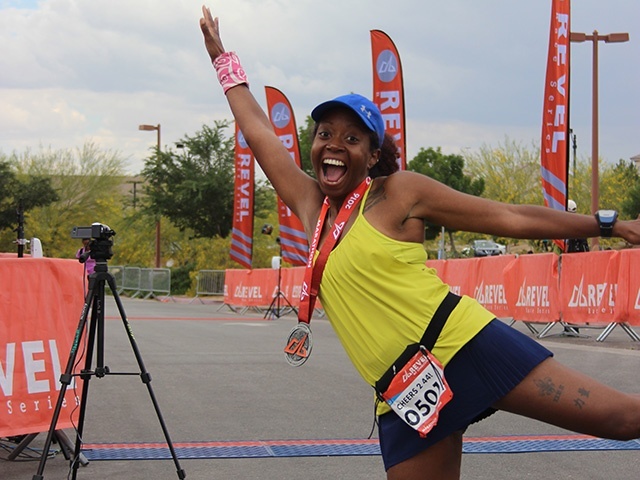 She is a member of Runners Roost Race Team, Black Girls Run, Half Fanatics and Marathon Maniacs.